Grow your business with SMS marketing. Reach your customers personally, easily and effectively through Bulk SMS Service in Nepal. Welcome to Nepal’s leading Bulk SMS Service Provider! 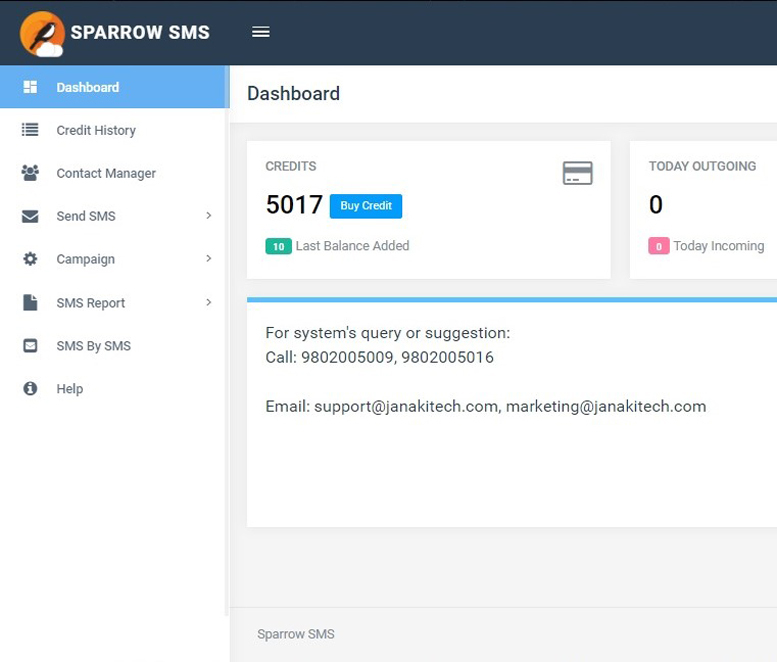 Sparrow SMS is a leading Bulk SMS Service Provider and VAS provider in Nepal. We are a trusted name for delivering SMS and bulk messaging covering major mobile operators (Ncell, NTC, SmartTel) providing greatest reach for customer communication with an easy-to-use messaging platform along with reliable connectivity. Send Bulk SMS in Nepal at a time with our easy-to-use bulk messaging platform to your subscribers’ mobile phones. How Businesses Use Our Platform? Sends SMS to interact with public regarding meetings, urgent notifications and runs various campaigns. Runs campaigns to interact and delight their customers with special rewards via SMS. Notifies all the members whenever a meeting gets postponed. Ready to grow business with SMS marketing? Sign up with the most reliable and advanced bulk SMS service in Nepal.